Now that we&apos;ve analyzed all the beauty looks on this year&apos;s Oscars red carpet, it&apos;s time for the after-parties! 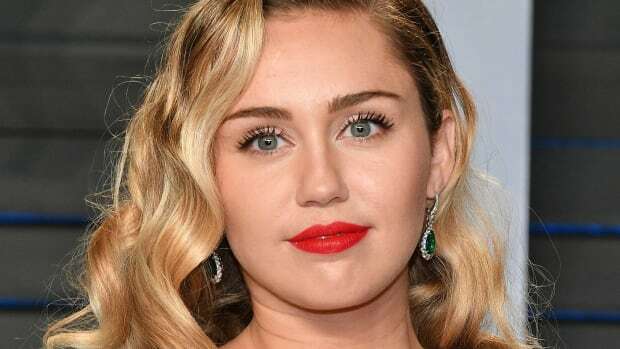 After the show, most of the A+ list could be found at the super-exclusive Vanity Fair Oscars party, while all the other celebs hit up Elton John&apos;s annual AIDS Foundation viewing event. Hailee Steinfeld at the 2015 Vanity Fair Oscar party. Close-up of Hailee Steinfeld at the 2015 Vanity Fair Oscar party. Don&apos;t ask me to explain why I like this—I just do! Where most would fail, I think Hailee pulls off this brown-toned makeup, low textured ponytail and Brooke Shields-esque brows. I know she&apos;s wearing false lashes, but these feel so thick and soft, they sort of work. Jessica Chastain at the 2015 Vanity Fair Oscar party. Close-up of Jessica Chastain at the 2015 Vanity Fair Oscar party. Why didn&apos;t Jessica do this for the Oscars?! I like her wavy hair here, and the cherry-red lips, soooo much better. Damn, she has good skin, huh? It&apos;s ridiculous. Karlie Kloss at the 2015 Vanity Fair Oscar party. Close-up of Karlie Kloss at the 2015 Vanity Fair Oscar party. And this is why Karlie is a supermodel. The hair, the pose, the cheekbones, OMG. I&apos;m loving her glowy skin, the peachy makeup and the tightlined eyes. Olivia Munn at the 2015 Vanity Fair Oscar party. Close-up of Olivia Munn at the 2015 Vanity Fair Oscar party. Rashida Jones at the 2015 Vanity Fair Oscar party. Close-up of Rashida Jones at the 2015 Vanity Fair Oscar party. I&apos;m so into this fun sheer pink lipstick, and the fresh, freckled skin. But I woulda thought Rashida was too cool for false lashes, you know? Plus the brows might look nicer just left alone. Miranda Kerr at the 2015 Vanity Fair Oscar party. Close-up of Miranda Kerr at the 2015 Vanity Fair Oscar party. I feel like I&apos;ve seen this look (and this pose) from Miranda a thousand times before. Still gorge, though. I love seeing her natural lashes with luminous skin and the pop of orangey-red gloss. Paula Patton at the 2015 Vanity Fair Oscar party. Close-up of Paula Patton at the 2015 Vanity Fair Oscar party. Paula&apos;s been hit and miss in the past, but this is a good look for her. Well, except for the eye makeup part—I&apos;d have done less spidery lashes and a more subtle inner corner highlight. But all in all, very nice. Michelle Trachtenberg at the 2015 Elton John AIDS Foundation Academy Awards viewing party. Close-up of Michelle Trachtenberg at the 2015 Elton John AIDS Foundation Academy Awards viewing party. Michelle has such amazing eyes, I totally get why she plays them up like this—and their contrast against her pale, fresh skin is fab. I think her hair colour should be a softer brown, to harmonize with her light brows. Sofia Vergara at the 2015 Vanity Fair Oscar party. Close-up of Sofia Vergara at the 2015 Vanity Fair Oscar party. Hair is fantastic, but the lipstick? Not so much. (It&apos;s coming across like a dated sort of brown, rather than the modern way that Hailee styled it.) I can&apos;t tell exactly what&apos;s happening with her false lashes, but there might be a situation. Amy Adams at the 2015 Vanity Fair Oscar party. Close-up of Amy Adams at the 2015 Vanity Fair Oscar party. I love when Amy does these soft, vintagey, undone updos—they are my favourite on her. Her eyes are really popping this time, thanks to the blue dress and the bronzey shadow that picks up on the tones in her hair. Zoë Saldana at the 2015 Vanity Fair Oscar party. 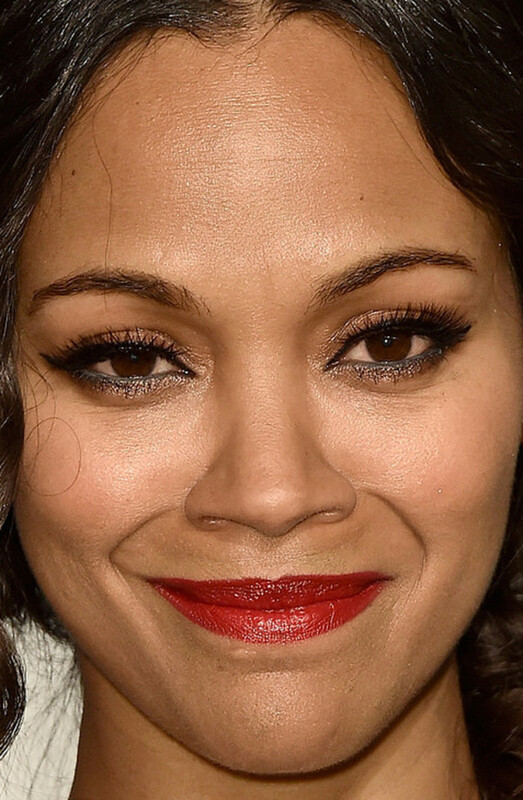 Close-up of Zoë Saldana at the 2015 Vanity Fair Oscar party. Hmm... Zoë updated her Oscars look by adding a fishtail braid and red lipstick, and filling in the white waterlines to black. I don&apos;t think the latter worked too well—they are now a weird grey, and seem a bit heavy. Also, why are her cheeks so light compared to the rest of her face? Kate Upton at the 2015 Vanity Fair Oscar party. Close-up of Kate Upton at the 2015 Vanity Fair Oscar party. More supermodel gorgeousness. As usual, I&apos;m all over Kate&apos;s blonde hair-dark brow contrast. And this orange lipstick is divine. Rita Ora at the 2015 Vanity Fair Oscar party. 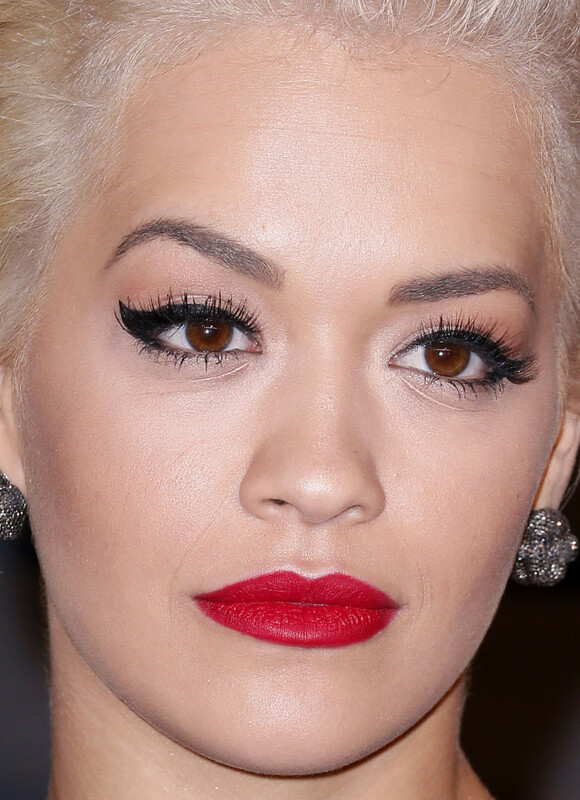 Close-up of Rita Ora at the 2015 Vanity Fair Oscar party. Uh-oh, we have a concealer creasing issue. Without that, and the heavy eye makeup, this could&apos;ve been a cute look—I like it even better than Rita&apos;s pale lips at the Oscars. Her short hair is totally growing on me as well; it looks so good off the face like this. 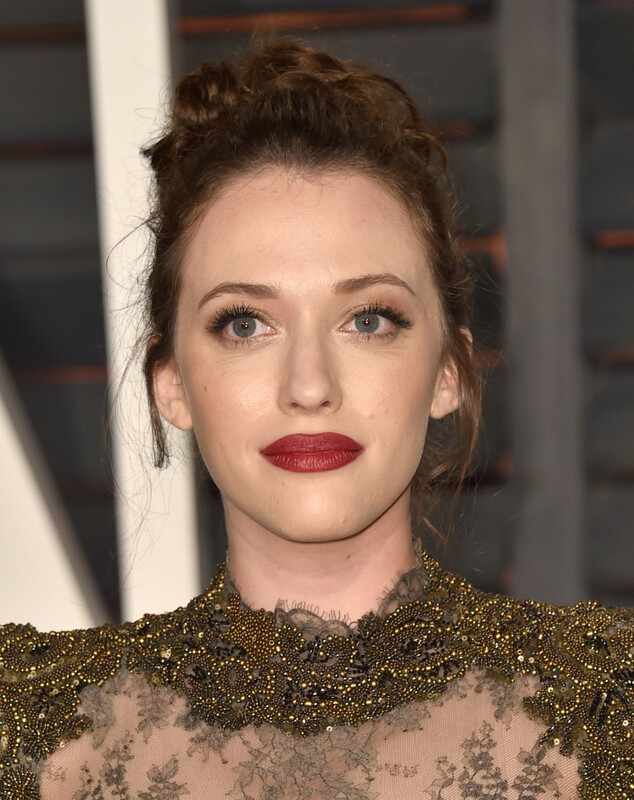 Kat Dennings at the 2015 Vanity Fair Oscar party. 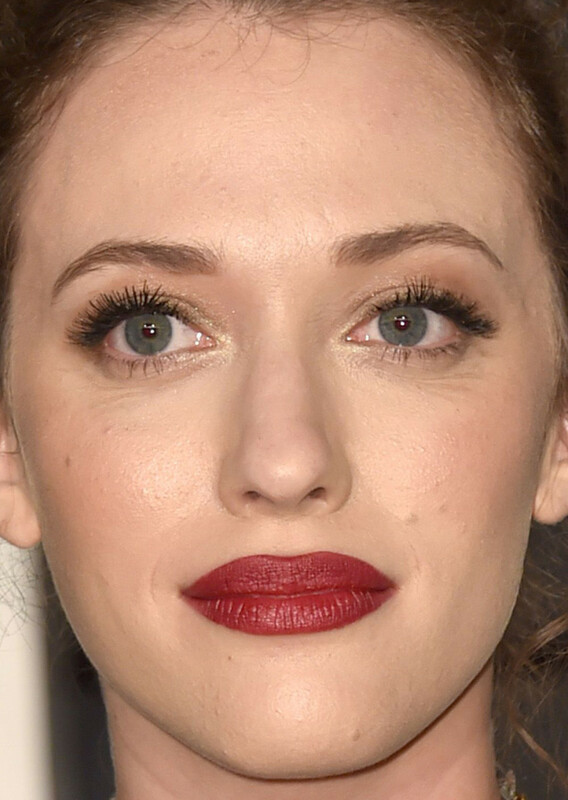 Close-up of Kat Dennings at the 2015 Vanity Fair Oscar party. Bad foundation—it happens to celebs, too! Kat&apos;s is too yellow for her skin tone, creating an unflattering mask effect. I am convinced she gets injections in her upper lip, and it&apos;s getting out of control. Selena Gomez at the 2015 Vanity Fair Oscar party. Close-up of Selena Gomez at the 2015 Vanity Fair Oscar party. This is a bit "baby Kardashian"! 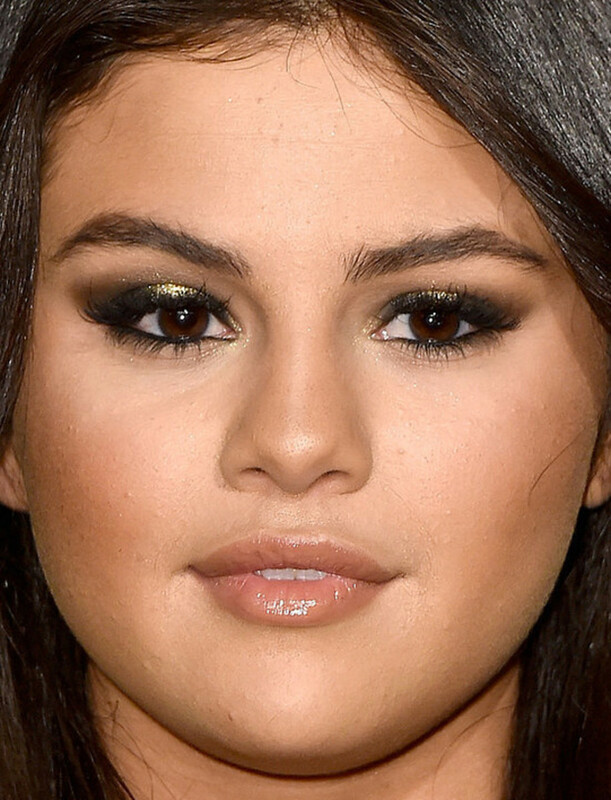 Selena does wear eye makeup well, and I love the flecks of gold here. Her round face can handle the contouring without looking too overdone. Diane Kruger at the 2015 Vanity Fair Oscar party. 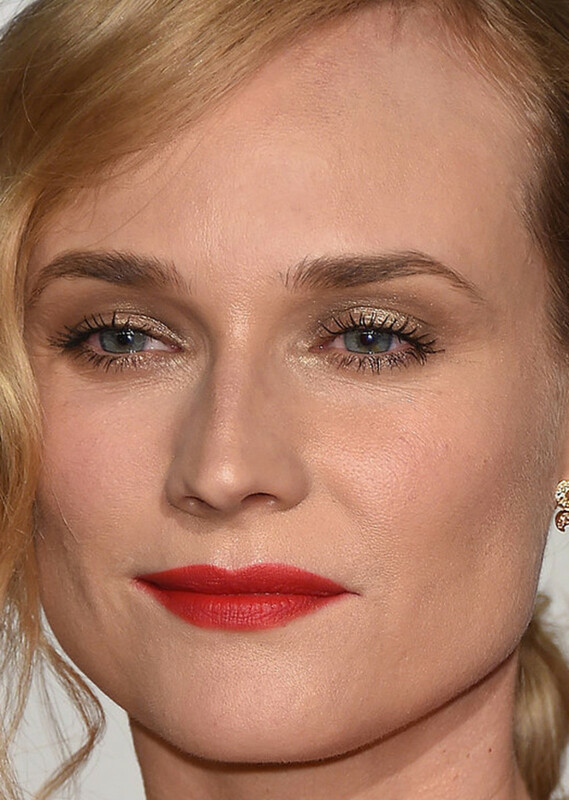 Close-up of Diane Kruger at the 2015 Vanity Fair Oscar party. Diane (who I believe always does her own red carpet makeup) did a good job here. Goldy-taupe eyes, defined natural lashes, zero liner and creamy red lips. Sophisticated and elegant as usual. Ashley Greene at the 2015 Vanity Fair Oscar party. Close-up of Ashley Greene at the 2015 Vanity Fair Oscar party. Not bad. Ashley&apos;s hair looks incredibly shiny, and she really suits a smoky eye and these goldy-brown tones of makeup. But the lashes are too much, and her blush doesn&apos;t seem blended at the temples. Jessica Lowndes at the 2015 Elton John AIDS Foundation Academy Awards viewing party. Close-up of Jessica Lowndes at the 2015 Elton John AIDS Foundation Academy Awards viewing party. You&apos;d think with such incredible eyes and brows (and lips! ), Jessica would know not to pile on the lashes. They&apos;re totally unnecessary. Everything else is great, although I&apos;m not sure about brushing up the brows quite this much. Miley Cyrus at the 2015 Vanity Fair Oscar party. Close-up of Miley Cyrus at the 2015 Vanity Fair Oscar party. Is Miley okay?! I feel like she&apos;s really lost her glow lately. It&apos;s also time to attend to these roots. Faith Hill at the 2015 Vanity Fair Oscar party. Close-up of Faith Hill at the 2015 Vanity Fair Oscar party. Faith looks adorable in her new (-ish) short haircut and this rosy makeup. Her lips are, like, perfect. I get tired of saying it, but the lashes aren&apos;t needed here either. Margot Robbie at the 2015 Vanity Fair Oscar party. Close-up of Margot Robbie at the 2015 Vanity Fair Oscar party. Here&apos;s Margot posing hard, with basically the same look as at the Oscars. Except maybe a different lipstick? It seems more orange here. Nina Dobrev at the 2015 Elton John AIDS Foundation Academy Awards viewing party. Close-up of Nina Dobrev at the 2015 Elton John AIDS Foundation Academy Awards viewing party. This is cool—hair piled high on top and up off the neck, with eyeshadow that pulls out at the outer corners. I like it, Nina! Lily Collins at the 2015 Vanity Fair Oscar party. 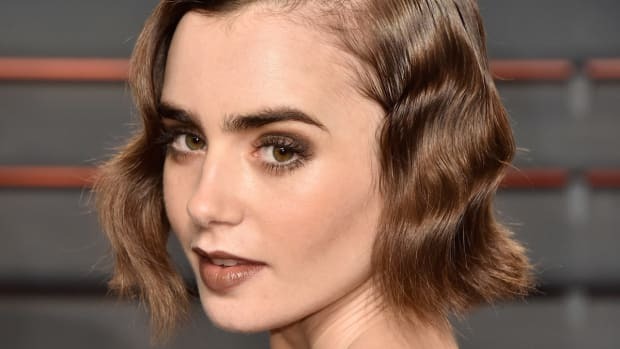 Close-up of Lily Collins at the 2015 Vanity Fair Oscar party. Heidi Klum at the 2015 Elton John AIDS Foundation Academy Awards viewing party. Close-up of Heidi Klum at the 2015 Elton John AIDS Foundation Academy Awards viewing party. Kylie Minogue at the 2015 Vanity Fair Oscar party. Close-up of Kylie Minogue at the 2015 Vanity Fair Oscar party. Kylie looks pretty here, and I have always coveted her hair colour. Just wish she wouldn&apos;t wonk up her face with the Botox. That one brow is crazy arched! Nicole Scherzinger at the 2015 Elton John AIDS Foundation Academy Awards viewing party. Close-up of Nicole Scherzinger at the 2015 Elton John AIDS Foundation Academy Awards viewing party. Whoa, Nicole looks like a totally different person. I really like this eyeliner job—with the soft edges, it makes an impact without feeling harsh. Zoë Kravitz at the 2015 Elton John AIDS Foundation Academy Awards viewing party. 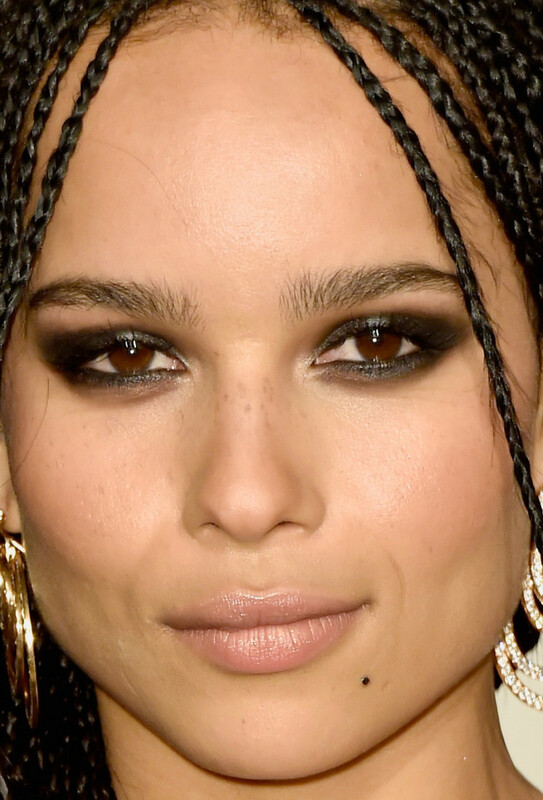 Close-up of Zoë Kravitz at the 2015 Elton John AIDS Foundation Academy Awards viewing party. Zoë here pulls off this dramatic eye makeup because it&apos;s in a modern shape, brows are natural yet full, and her skin is really fresh (with freckles!). Brittany Snow at the 2015 Elton John AIDS Foundation Academy Awards viewing party. Close-up of Brittany Snow at the 2015 Elton John AIDS Foundation Academy Awards viewing party. Holy bad lighting! I can&apos;t imagine Brittany left the house looking this red. The photog obviously hates her. She doesn&apos;t help matters by piling on the lashes and the Barbie lipstick. I miss her blonde. Natalie Portman at the 2015 Vanity Fair Oscar party. Close-up of Natalie Portman at the 2015 Vanity Fair Oscar party. Speaking of bad lighting, this is even worse—they turned Natalie green! From what I can tell, she&apos;s still doing beauty right these days, with lovely brows, lashes and lips. Miss her. Camilla Belle at the 2015 Elton John AIDS Foundation Academy Awards viewing party. Close-up of Camilla Belle at the 2015 Elton John AIDS Foundation Academy Awards viewing party. Classic Camilla here. 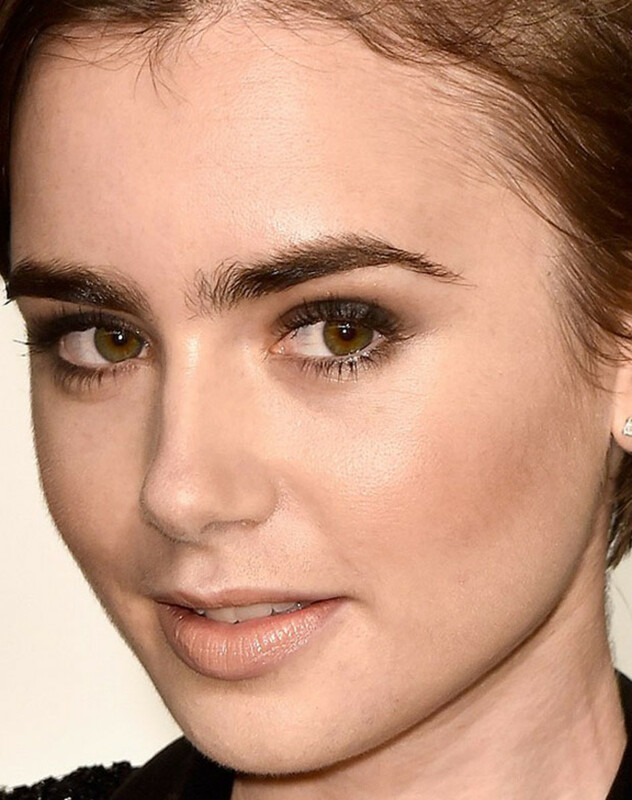 With brows like this, you can basically just show up with hair scraped back and minimal makeup—they ARE the look. Lupita Nyong&apos;o at the 2015 Vanity Fair Oscar party. Close-up of Lupita Nyong&apos;o at the 2015 Vanity Fair Oscar party. 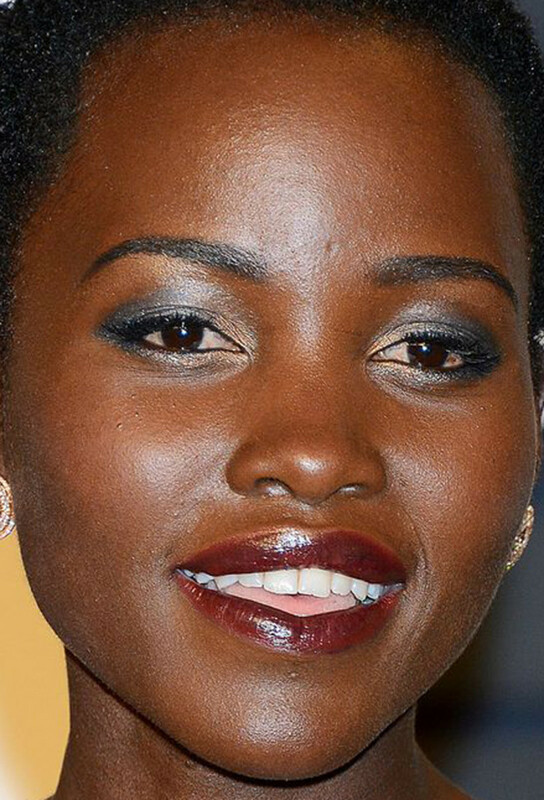 Lupita switched up her Oscars look by adding a deeper burgundy lipstick to go with the metallic eyes. When does this woman not look good? Sarah Hyland at the 2015 Elton John AIDS Foundation Academy Awards viewing party. Close-up of Sarah Hyland at the 2015 Elton John AIDS Foundation Academy Awards viewing party. You know how I&apos;ve felt about Sarah lately—too much contour, too much everything!—but I geniunely love this. The high ponytail throws the spotlight on her doll-like features, and she&apos;s wearing the heck outta that red lipstick. Beyoncé at the 2015 Vanity Fair Oscar party. 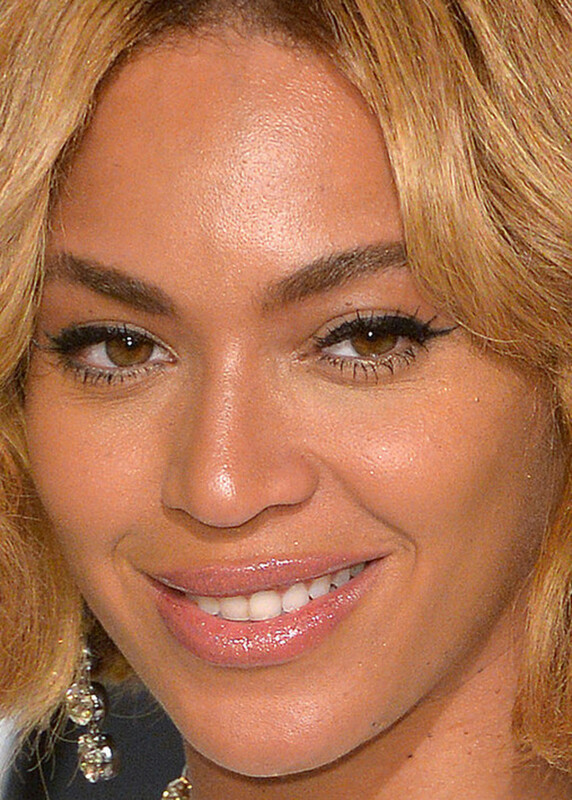 Close-up of Beyoncé at the 2015 Vanity Fair Oscar party. 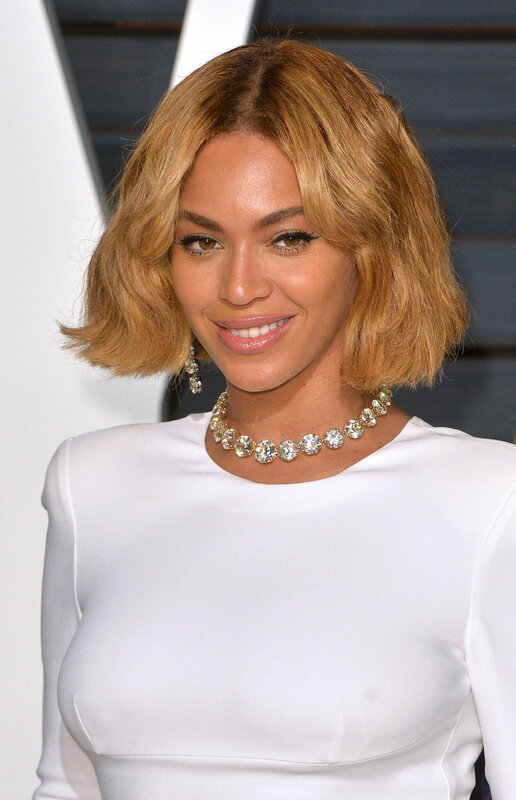 Beyoncé has a bob again! I mean, it probably won&apos;t last more than five minutes, but this is an awesome hairstyle (and colour). I hope she keeps it. Rosie Huntington-Whiteley at the 2015 Vanity Fair Oscar party. Close-up of Rosie Huntington-Whiteley at the 2015 Vanity Fair Oscar party. Rosie got her hair lobbed a little while back, and it definitely makes her seem more approachable. I like it! See how this brown makeup trend is really starting to stick? Jennifer Aniston at the 2015 Vanity Fair Oscar party. 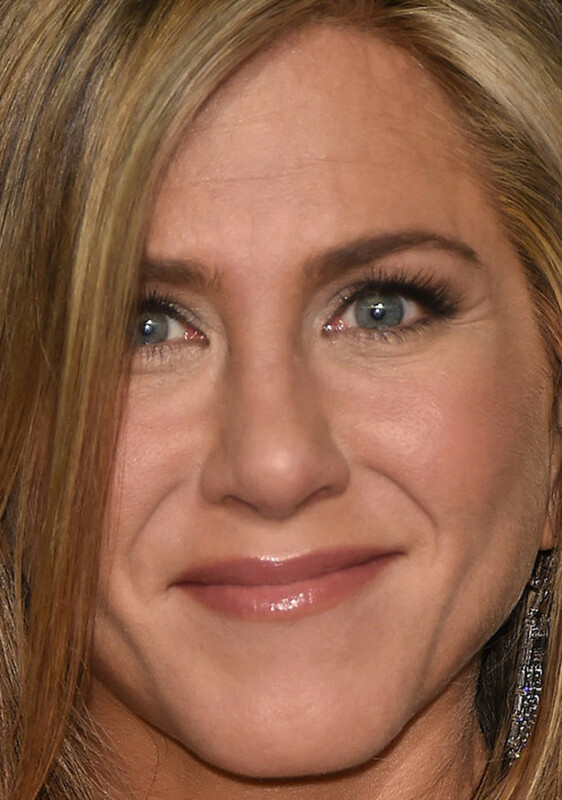 Close-up of Jennifer Aniston at the 2015 Vanity Fair Oscar party. Angie Harmon at the 2015 Vanity Fair Oscar party. Close-up of Angie Harmon at the 2015 Vanity Fair Oscar party. Angie got stuck in the same greenish lighting as Natalie Portman, and it&apos;s really bringing out her mismatched under-eye concealer (and um, nose hairs!). Still, she&apos;s a beautiful woman and the high ponytail is fab on her. Gillian Anderson at the 2015 Elton John AIDS Foundation Academy Awards viewing party. 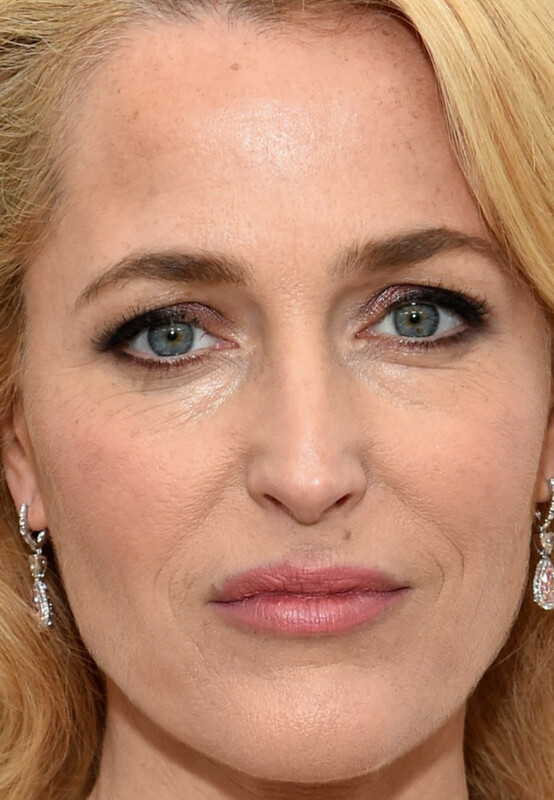 Close-up of Gillian Anderson at the 2015 Elton John AIDS Foundation Academy Awards viewing party. Gillian really does not want to be here. Not sure why, because her styling seems good to me! I do think her hair colour is too brassy, though. Gigi Hadid at the 2015 Elton John AIDS Foundation Academy Awards viewing party. 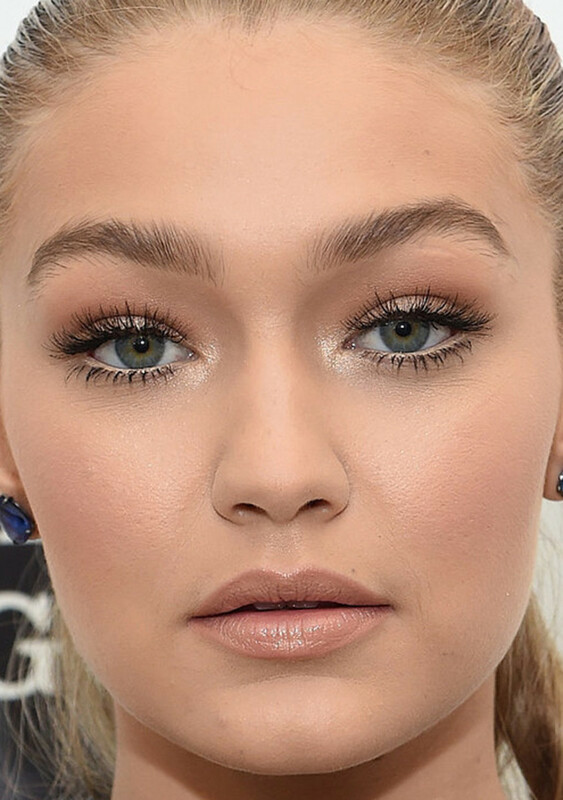 Close-up of Gigi Hadid at the 2015 Elton John AIDS Foundation Academy Awards viewing party. I&apos;m surprised to see such heavy foundation on an OMGmodel. Right? Does she really need this much? But she has my dreambrows, so there&apos;s that. Lady Gaga at the 2015 Vanity Fair Oscar party. 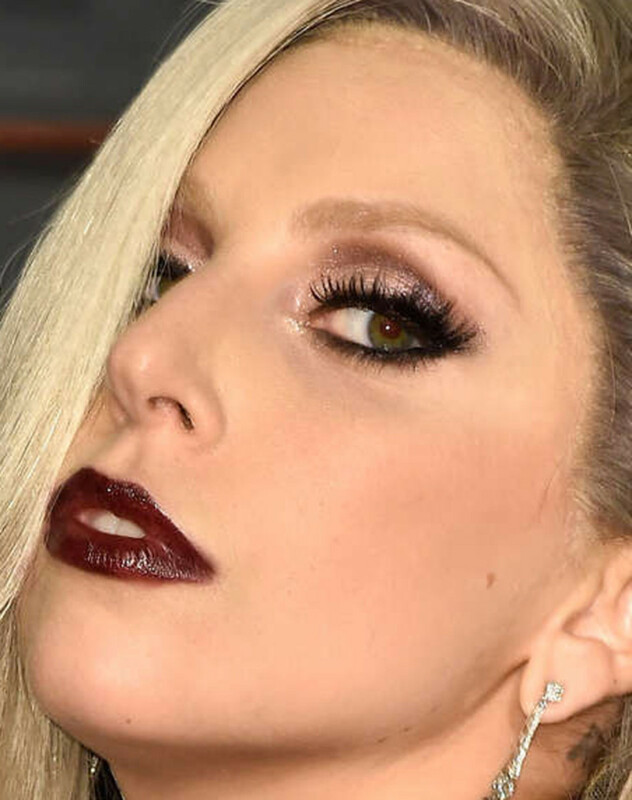 Close-up of Lady Gaga at the 2015 Vanity Fair Oscar party. Of course Lady Gaga busted out a brand new look, different to her Oscars ensemble. Long, fake-looking hair (despite the roots), blackened lips and loads more liner. Not loving. Jennifer Lopez at the 2015 Vanity Fair Oscar party. Close-up of Jennifer Lopez at the 2015 Vanity Fair Oscar party. Jennifer Lopez might need a new foundation, because her face and neck are darker (and more yellow!) than the rest of her body. At least the rim of pink eyeshadow is gone, replaced by... baby blue? Emma Stone at the 2015 Vanity Fair Oscar party. Close-up of Emma Stone at the 2015 Vanity Fair Oscar party. Aw, looks like Emma didn&apos;t change much except her dress. Like a normal person, her hair is just a little fallen compared to earlier in the night, and her lipstick is worn off. Still a cutie! Keira Knightley at the 2015 Vanity Fair Oscar party. 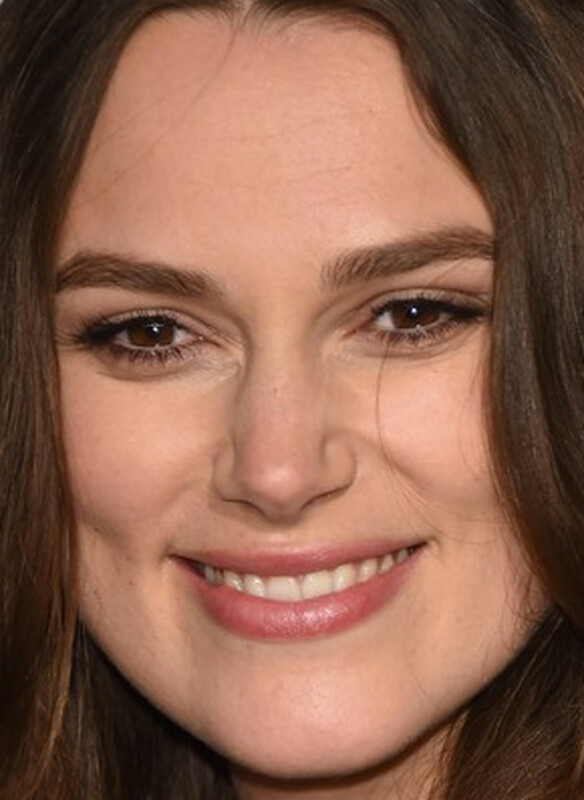 Close-up of Keira Knightley at the 2015 Vanity Fair Oscar party. Keira, too, didn&apos;t really do much for the after-party except change her dress and take out that questionable hairband. Alessandra Ambrosio at the 2015 Elton John AIDS Foundation Academy Awards viewing party. Close-up of Alessandra Ambrosio at the 2015 Elton John AIDS Foundation Academy Awards viewing party. Alessandra did her go-to beauty look of smudgy eyes, inner corner highlights and glossy, pillowy lips. She really doesn&apos;t have to try, does she? Kat Graham at the 2015 Elton John AIDS Foundation Academy Awards viewing party. 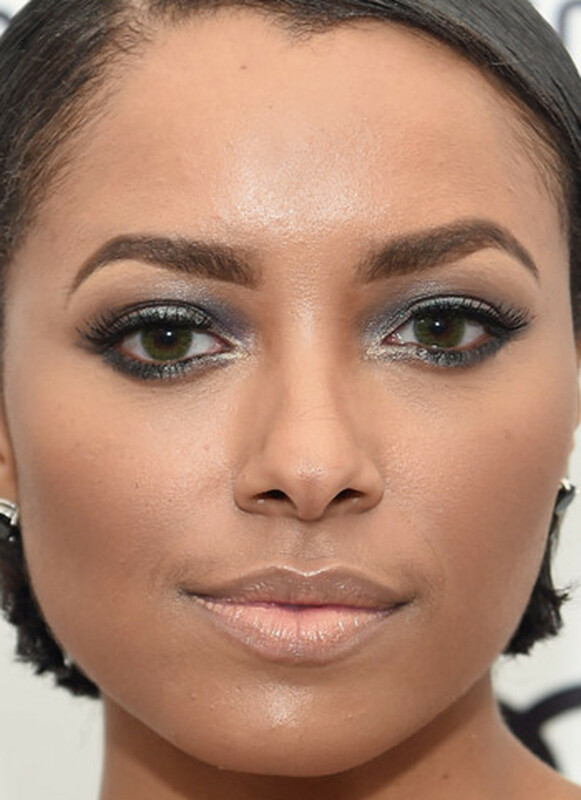 Close-up of Kat Graham at the 2015 Elton John AIDS Foundation Academy Awards viewing party. Nice to see Kat with a bit less makeup (relatively speaking). I actually like this blue-grey shadow for her, and the lashes are are so much better now. Julianne Hough at the 2015 Elton John AIDS Foundation Academy Awards viewing party. 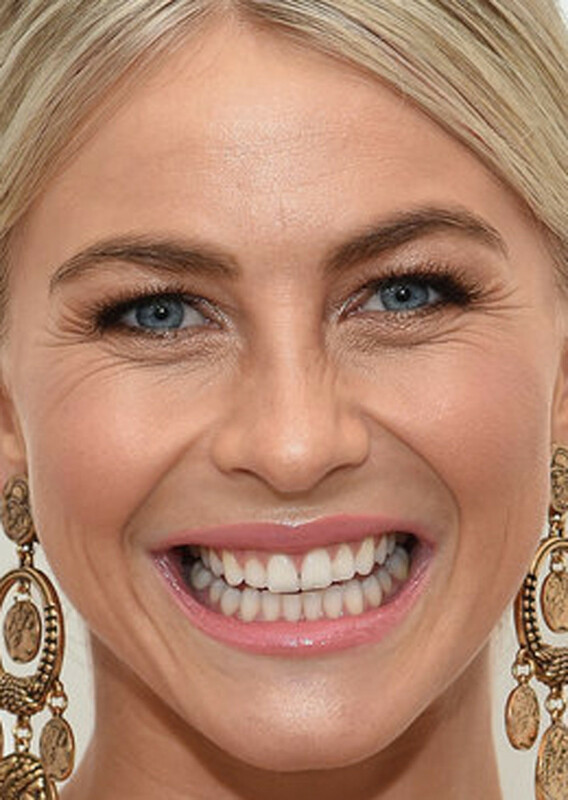 Close-up of Julianne Hough at the 2015 Elton John AIDS Foundation Academy Awards viewing party. Nice to see Julianne trying out a different hairstyle than that textured bob we always used to see. The pink lip gloss is nice on her, but the brows feel a tad heavy. Deborah Ann Woll at the 2015 Elton John AIDS Foundation Academy Awards viewing party. Close-up of Deborah Ann Woll at the 2015 Elton John AIDS Foundation Academy Awards viewing party. No major complaints here—Deborah&apos;s makeup looks fresh and pretty, if a bit predictable. I think she&apos;d look so much more striking with darker hair. Alexandra Daddario at the 2015 Elton John AIDS Foundation Academy Awards viewing party. Close-up of Alexandra Daddario at the 2015 Elton John AIDS Foundation Academy Awards viewing party. Alexandra&apos;s another one where I don&apos;t get the need for the heavy eyeshadow, liner and lashes. Her eyes would pop with mascara&apos;d lashes alone! This feels like she&apos;s trying way too hard. Leslie Mann at the 2015 Vanity Fair Oscar party. Close-up of Leslie Mann at the 2015 Vanity Fair Oscar party. Leslie swings wildly from being one of my favourites—like at the Globes—to looks like this, which is pretty underwhelming. The ponytail seems too casual and frizzy, and the middle part is a bit harsh. 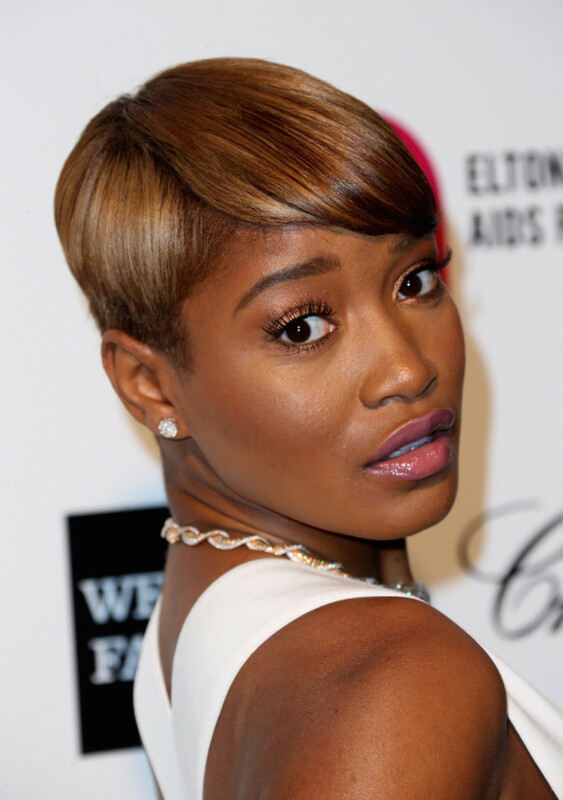 Keke Palmer at the 2015 Elton John AIDS Foundation Academy Awards viewing party. 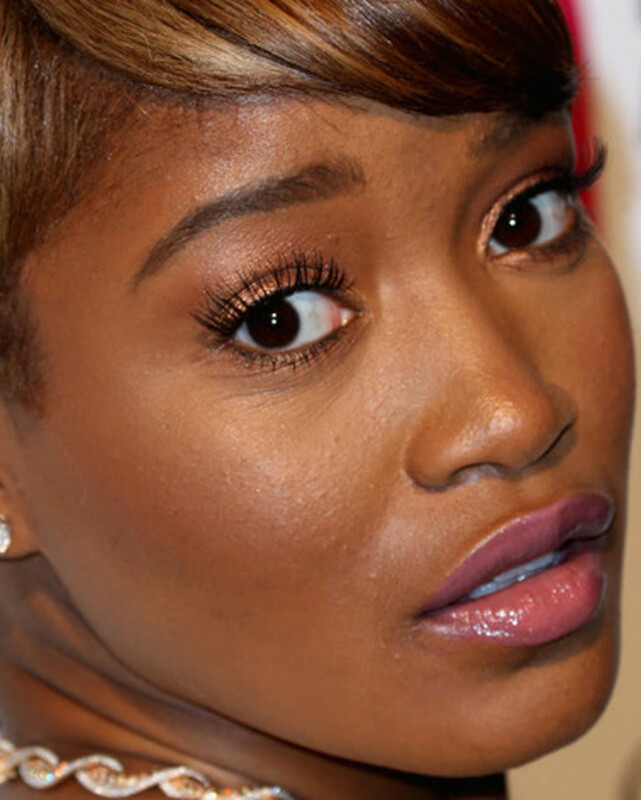 Close-up of Keke Palmer at the 2015 Elton John AIDS Foundation Academy Awards viewing party. This is fine, although I prefer Keke with darker hair (like this). The gold around the eyes and the pop of pink gloss are both pretty. Chloë Moretz at the 2015 Vanity Fair Oscar party. 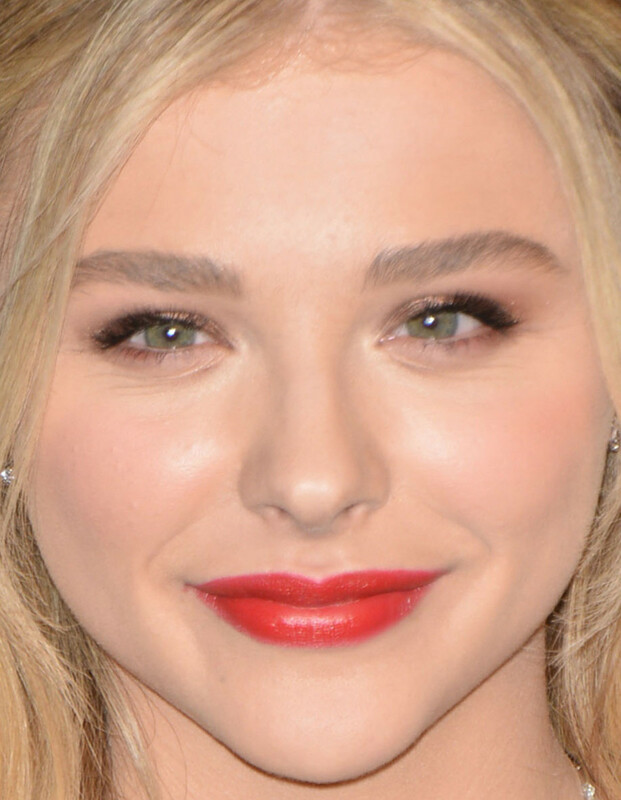 Close-up of Chloë Moretz at the 2015 Vanity Fair Oscar party. Compared to the Oscars, Chloë&apos;s after-party changes were to pull her hair half-up, wipe off the eyeshadow and add a slick of red lipstick. I like this look better! Emmanuelle Chriqui at the 2015 Elton John AIDS Foundation Academy Awards viewing party. Close-up of Emmanuelle Chriqui at the 2015 Elton John AIDS Foundation Academy Awards viewing party. I prefer Emmanuelle&apos;s hair down, but this is okay. I think it would&apos;ve looked more modern just tight to the head instead of with the big floppy bun. Some blotting paper needed also! Kelly Brook at the 2015 Elton John AIDS Foundation Academy Awards viewing party. Close-up of Kelly Brook at the 2015 Elton John AIDS Foundation Academy Awards viewing party. Kelly doesn&apos;t need these lashes either... but I&apos;m repeating myself. 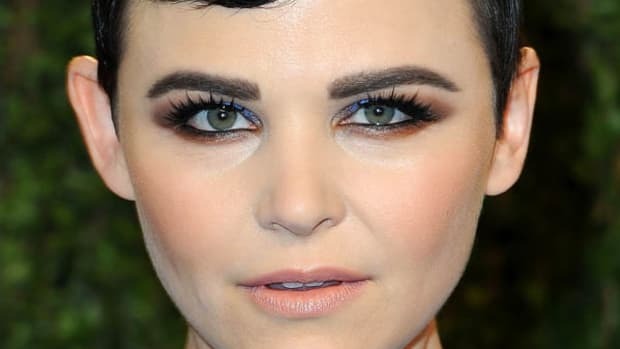 She&apos;s a beautiful woman, and I&apos;d love to see this without the lashes, heavy brow-filling and with a side instead of cent part. Little tweaks! Sia at the 2015 Vanity Fair Oscar party. 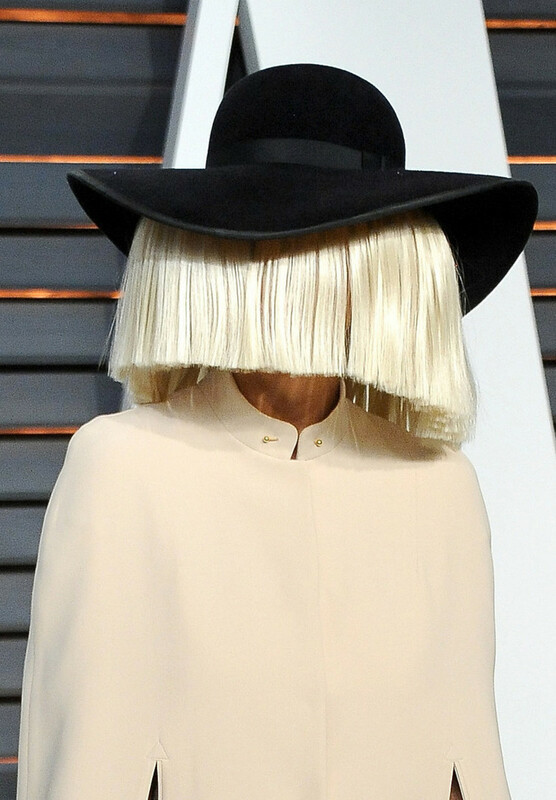 Forget bad hair days... we all need to copy Sia and get hair-hats for bad beauty days. Who had your favourite (and least favourite) after-party beauty look? Vanessa Hudgens, Jessica Alba and more. Emmanuelle Chriqui, Victoria Justice and more. 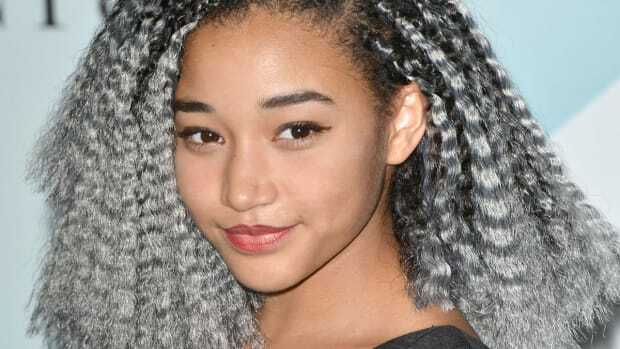 Amandla Stenberg, Chloë Moretz and more.